It took many years and lots of prodding from friends before Chris finally realised his music was good enough to record on disk. 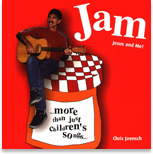 The result was JAM Jesus and Me, released in 2001. 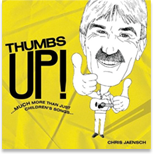 The subtitle, “…more than just children’s songs…” sums up the tone of the CD. 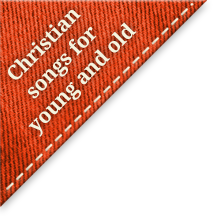 JAM has captured not only children but also older people with its wide range of musical styles and Biblically strong lyrics. 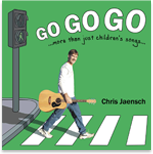 After the friendly welcome of ‘Gidday’ (one of several lively echo songs) we go on a musical ride through rock, rap, folk and genuine country until we are left panting as “See ya later, Chip Potata” rushes to its tongue twisting finale. Greeting song. Living for Jesus. Thank You song. Giving and Living for God. Working for the Lord is never in vain. The story of Paul, the apostle. God's promise to answer prayer. Going all out for Jesus. Advent/Christmas song. Santa points to Jesus.